Casa Mila’s (La Pedrera) status as a monument and a work of art has been recognised by the award of the highest international heritage protection accolades ever since it was built but particularly in recent decades. It was this self-same recognition of the building’s importance that prevented the attic and rooftop from being demolished shortly after it was completed because it exceeded the legally permitted built volume by 4,000 cubic metres. La Pedrera’s legalisation was made possible by a compensatory payment estimated at 100,000 pesetas, as well as the decision by Barcelona City Council’s Eixample Commission on 28 December 1909 that the building was a monument in nature and hence did not have to comply strictly with municipal building codes. In addition to this initial recognition, its uniqueness and artistic importance were amply accredited when it was included on the list of Artistic Heritage of the City of Barcelona in 1962, when it was declared a Monument of National Historical and Artistic Interest by the Spanish government in 1969, and when UNESCO declared it a World Heritage Site in 1984 due to its outstanding universal value. The listing of a property as heritage of cultural interest not only gives it a special status that serves to guarantee its physical preservation, but also represents recognition that it is a cultural asset that needs to be known, studied, interpreted and publicised. The 1962 List of Heritage of the City of Barcelona, overseen by the eminent municipal architect Adolf Florensa, was the first document of its kind in Spain and was drawn up with the intention of ensuring the conservation of monuments in the city. 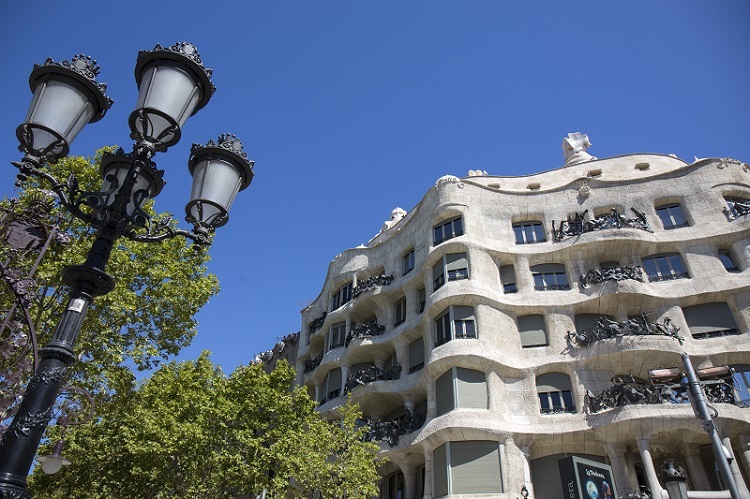 La Pedrera, together with 15 works by Gaudi, was declared a historical and artistic monument of National Interest in 1969: “Gaudi’s work is of outstanding interest in contemporary architecture. It combines mechanics, construction and technique to achieve a high degree of sincerity. The individual hallmark evident in his entire oeuvre presents Gaudi as an innovator of upright character, which does not prevent his work from leaning on architectural tradition.” (BOE [Official State Gazette], no. 199, 20.8.1969). When Law 16/1985, enacted on 25 June 1985, on Spanish Cultural Heritage came into force, La Pedrera was immediately listed as a BIC (Property of Cultural Interest). And when Law 9 on Catalan Cultural Heritage was enacted on 30 September 1993 (DOGC [Official Gazette of the Government of Catalonia], no. 1807, 11.10.1993), the building was deemed to be a BCIN (Cultural Property of National Interest), the highest protected status. On 2 November 1984, Casa Mila, together with Park Güell and the Palau Güell, was declared a UNESCO World Heritage Site due to its outstanding universal value. These were the first monuments in Spain to be declared World Heritage, along with the Alhambra, the Mosque of Cordoba, the Monastery of El Escorial and Burgos Cathedral. International properties listed that year included the Statue of Liberty, the Vatican City, Yosemite National Park and the temples at Baalbek (Lebanon). The World Heritage List, begun in 1978, currently contains 1,007 properties in 161 countries, 779 of which are properties of cultural interest. Spain is the third country, after Italy and China, with the most cultural properties listed as World Heritage, and Catalonia is the autonomous community with the most cultural heritage listings in Spain, with a total of 44 listed properties. Criterion (i): These leading works by Antoni Gaudi i Cornet (1852- 1926) are masterpieces by a creative genius. Criterion (ii): They are extremely rare and unique. Criterion (vi): They are examples of work from a highpoint of Catalan culture, from the late 19th century to the early 20th century. 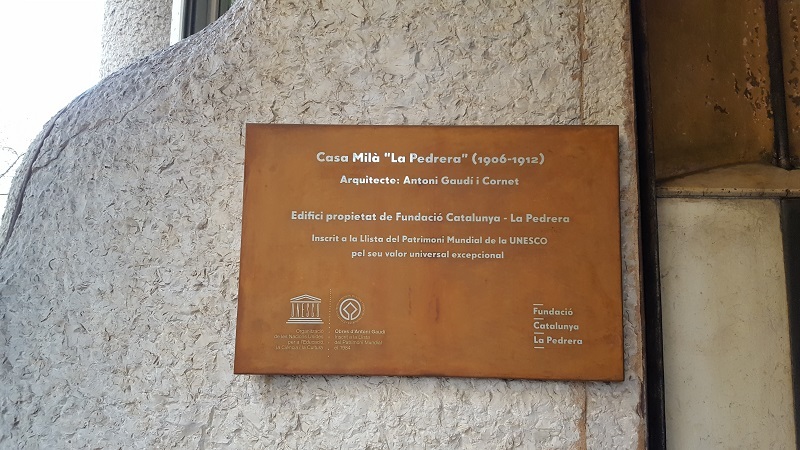 On 17 June 2005, UNESCO increased the number of works by Gaudi on the list and included on it the Nativity Façade and the crypt at Sagrada Família, Casa Vicens, Casa Batllo and the crypt at Colònia Güell, bringing the total to seven works inscribed together in a group. As a result of this change, the inclusion criteria were also modified. The listing of a property as a World Heritage Site is a privilege and a mark of prestige. It also entails a duty to preserve it and pass it on to future generations. The Convention Concerning the Protection of the World Cultural and Natural Heritage, approved by the General Conference in November 1972, is regarded as UNESCO’s most successful convention and the most significant international regulatory text for protecting cultural and national heritage. This convention is also important because it is global in scope and recognises that heritage is not the exclusive preserve of any one country or nation but is of fundamental value to humanity as a whole.